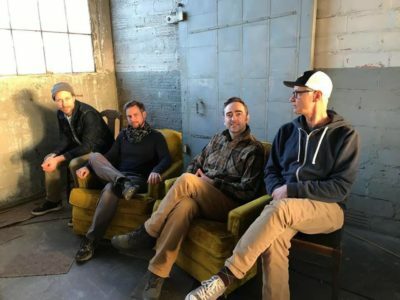 Disaster Passport is an eclectic, instrumental-only band that has been writing and performing in Madison since last winter. The quartet features two banjos played through effects and delay. Andy Moore (Winn Dixie) plays one of the five strings in a straight Appalachian style. Colin Crowley, who recently moved his family to Madison from Kenya, overlays an African-pop technique with his banjo. Karl Christenson (Cribshitter) plays Omnichord and electric baritone guitar, fretted and with slide. The band is rounded out by Luke Bassuener (ASUMAYA, Faux Fawn) who loops and plays stirring African percussion. The band will play a wide range of original compositions including excerpts from their recently performed original score to the 1982 art film Koyaanisqatsi. However no movie screening at this show!